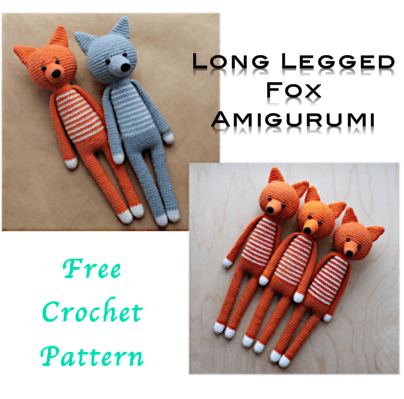 This long legged amigurumi fox tutorial will guide you, step by step, so you can create this adorable crochet fox pattern. You will have more confidence with you amigurumi skills and will confidently make this crochet fox pattern with ease. 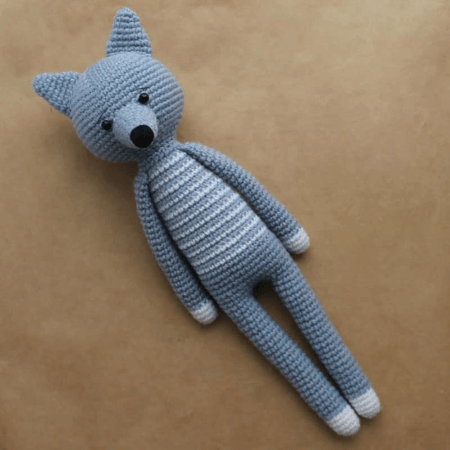 The Amigurumi Fox toy is simply adorable! 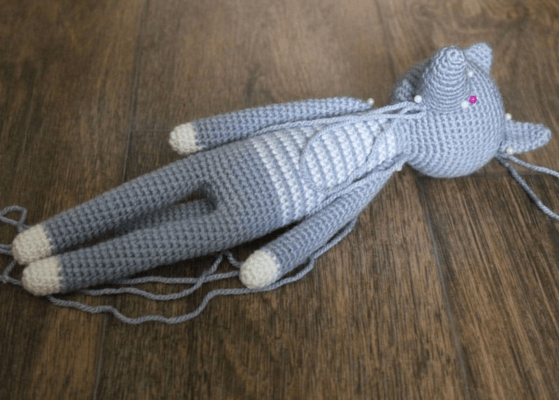 Your kids will love playing and cuddling this long-legged stuffed amigurumi toy. My kids love playing make-believe and after the Fantastic Mr. Fox movie, I knew the next big thing was going to be a stuffed amigurumi fox. Have you watched the movie “Fantastic Mr. Fox”? If not I insist you watch it immediately. The story line revolves around a family of foxes and their exploits. Turned out I was right. I put together three of these lovely pieces and you can’t begin to imagine all the creative games they came up with. It was like watching the movie all over again. 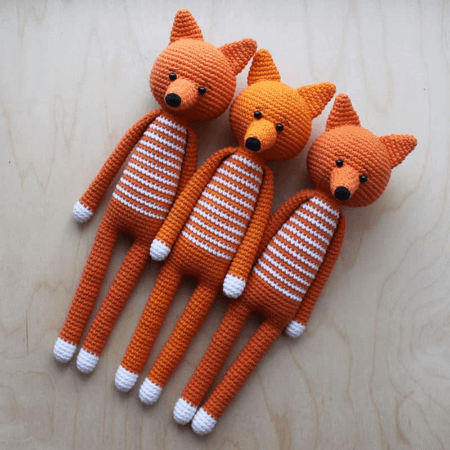 They have been spending quite some time with their new long-legged stuffed crochet fox friends. Anything to keep the kids occupied right? 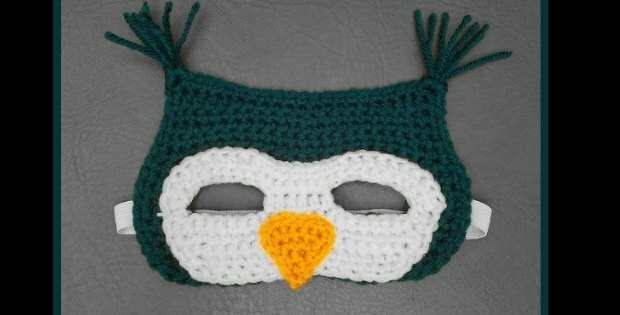 The crochet fox pattern doesn’t necessarily have to be a play item for the kids. 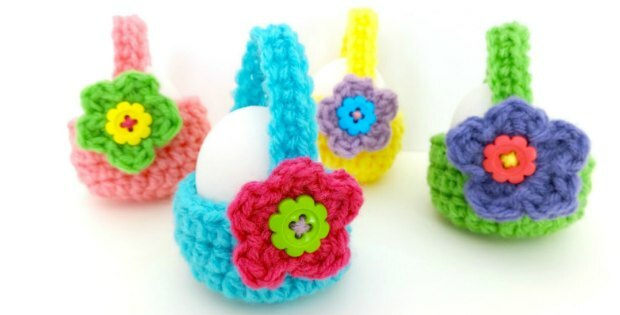 You could put one on display among your amigurumi toy collectables collection. My amigurumi collection has grown over the past few years expanded to include all manner of toys which include reindeer, rabbits, giraffes, stuffed sharks and more. This latest addition looks pretty sitting in my lounge and is quite the conversational piece as it emerges. You can never be too old to snuggle up with one of these and make your home just that little bit cozier. 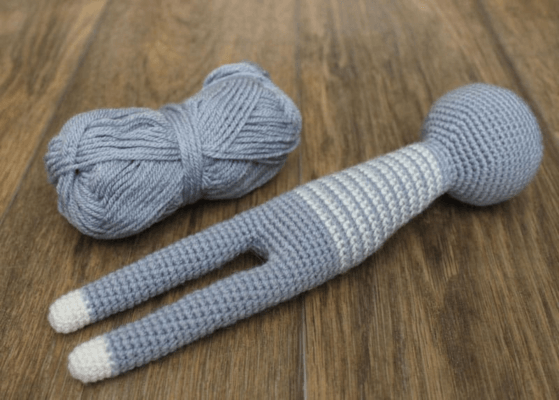 The amigurumi fox crochet pattern requires an intermediate to advanced skill level to accomplish. Individuals new to the pattern can download the pattern as a PDF file from Amigurumi Today. The file comes with detailed instructions that explain every stage of the process. The pattern also comes with pictures that make it easier to identify every step. 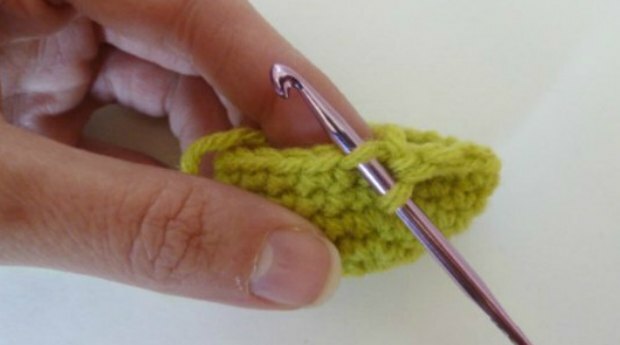 The fox crochet pattern’s instructions are written in American English and are easy to follow. The instructions use standard U.S terms and abbreviations. 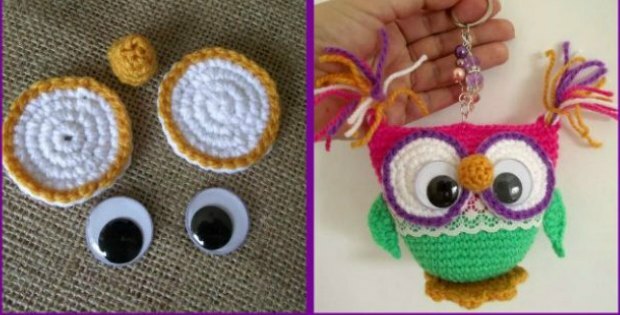 For a beginner with a strong knowledge of the basic crochet terms, the pattern should help put together a decent stuffed toy. I highly recommend you try this one of a kind piece sometime. If you are a fan of stuffed toys, then the amigurumi fox crochet toy is a must-have. Crochet Fox Pattern Chew Toy? Foxes and most members of the dog family have a special place in my heart. Being a dog person, it is easy to see why I instantly fell in love with this stuffed toy pattern the first time I saw it. I consider myself lucky to be the owner of a Great Dane. The problem with creating amigurumi toys especially where the house in question has a dog is, the toys end up getting chewed on. I have witnessed this recur one-too-many times before and my solution is simple. Crochet up an amigurumi fox crochet toy for each of my kids and one for the big guy. I’ve realized he has a preference for some toys over others but the fox toy served its purpose. Sounds like a waste of yarn and effort doesn’t it? I firmly assure you it is not. I have a pair of possessive kids who don’t exactly get with the whole toy sharing programme. Throw in a 120-pound dog and you have a recipe for trouble. So, a couple of these stuffed toys should help keep everyone happy. Here’s what I recommend you do, gather the supplies and put together a couple of these crochet fox pattern toys. Donate the stuffed toys to the kid’s section of your local hospital. It’s the small things that have the biggest impact on people. I have been collecting stuffed toys for a while now, some from way back and a handful of recent ones. I can confidently assert that I would pick stuffed animals over plastic toys any time. Yeah, sure plastic can be recycled and everything but think of the carbon footprint. 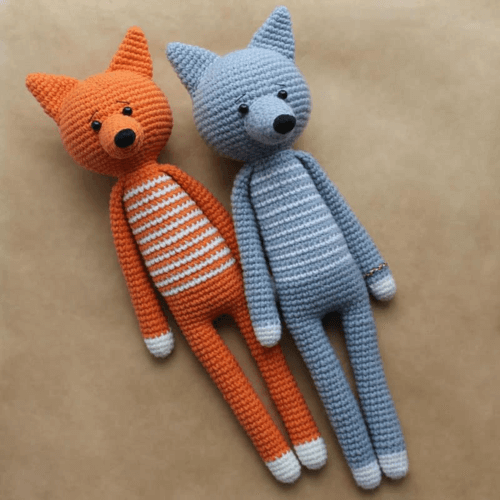 Be a good human, crochet up one of these amigurumi fox toys instead.